val user = User() println ( "Name is "
// ^^^ Kotlin vvv Java User user = new User(); System. 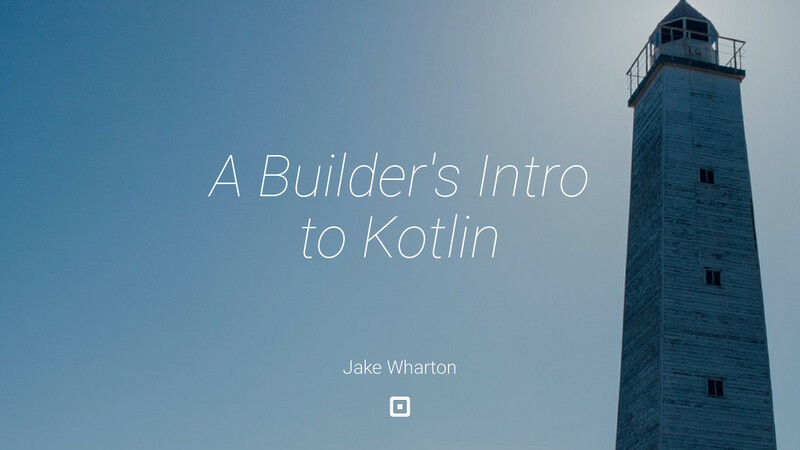 out .println( "Name is "
View A Builder's Intro to Kotlin on Notist. Kotlin’s popularity has been exploding in the past year. From last year’s announcement that Gradle would support it as a build language, to its adoption on large platforms like Android and Spring, to its general applicability for writing IDE and build system plugins, it’s hard to find an area that isn’t adopting the language in some form. This talk will be an introduction to the language in the context of Gradle. After covering the language syntax and features and their benefits, we’ll look at why it’s great for authoring Gradle plugins. Finally, we’ll set the stage for Gradle’s Kotlin build script support for which there are other full talks at the conference.